*This article was written by Jaime North of the Office of Marketing and Communications. Pictures were taken by players, family, and friends. As the No. 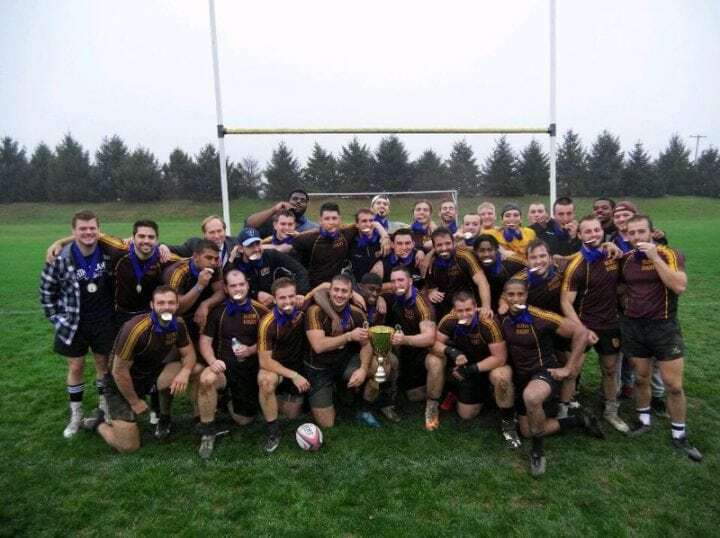 1 seed, Bloomsburg University Men’s Rugby Club recently capped off its perfect regular season winning the Mid-Atlantic Rugby Conference championship for the first time ever defeating then-undefeated York College 29-12. BU now advances to the National Sweet 16s at the Naval Academy in Annapolis, Md., where the men will face UNC-Charlotte on Saturday, Nov. 18, for a spot in the Elite 8 the following day. The Final Four will be played on Dec. 2 in Greenville, S.C.
BU (6-0) entered last weekend’s MARC Championship Tournament as its top seed and No. 5 in the nation, according to the Goff Rugby Report. The men defeated No. 4 seed University of Scranton handily 53-18, setting up the championship match with No. 2 seed York (No. 6 in the nation), which advanced by defeating Millersville University 90-5. The season has been quite a ride, according to Disabatino. Mike Appleman (inside center), finished the regular season and playoffs with 12 tries (4 in playoffs). Jabari Johnson (outside center), finished the regular season and playoffs with 9 tries. He led the entire MARC in regular season tries with 9. 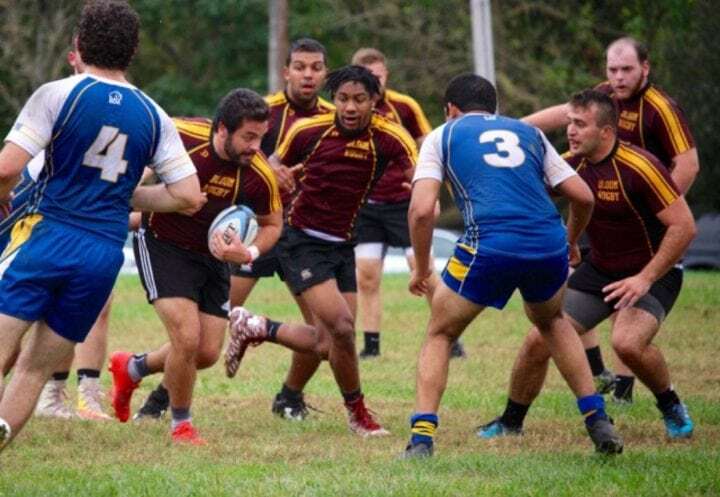 Nico DiSabatino (flyhalf) finished the regular season and playoffs with 9 tries (2 in playoffs) and 8 conversions. Shawn “Scooter” Gordon had three tries throughout the playoffs. BU had 56 regular season tries and 29 conversions (338 total points). In the playoffs, BU scored 14 tries and 6 conversions. Prior to this championship, BU won the Keystone State Collegiate Rugby Challenge in 1993. BU is 8-0 heading into nationals.